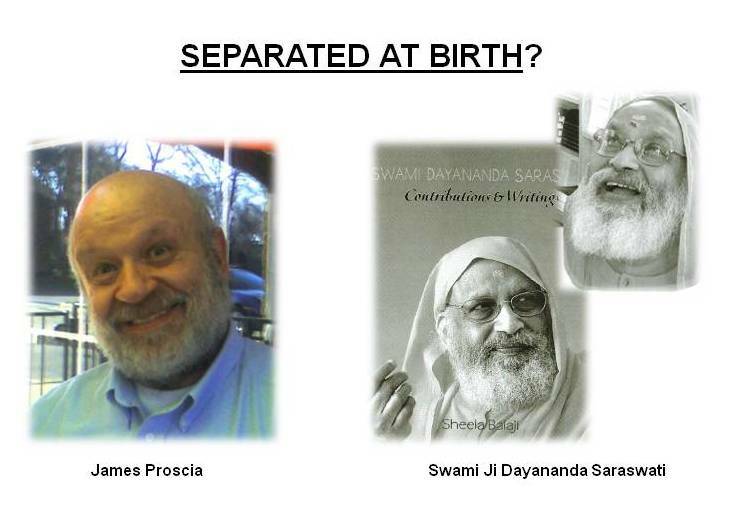 Guru Proscia in two incarnations. QUESTION ONE: Dear Guru, I am really depressed. My wife is constantly carping about everything I do. I can’t take it any more. She’s starting to socialize with a lot of divorced women on the block. What’s your advice? ANSWER: Talkin’ to some divorce meat in the neighborhood stren’thens my belief she’s up to no good. Make sure, anybody you bring inta da pitsher is outta town, Right? Den you make sure you’re outta town when the thing comes down ’cause you wanna tell the heat you’re in some casino gamblin’ wit a bunch o’ guys who’ll stick up for ya. Right? Best ting too is the stiff oughtta be, like, ya know, um, like, Zap! No teeth eeder. Nuttin costs too much. Get it done like, soon. We will have more priceless wisdom from Guru Proscia next week. Keep the questions coming.